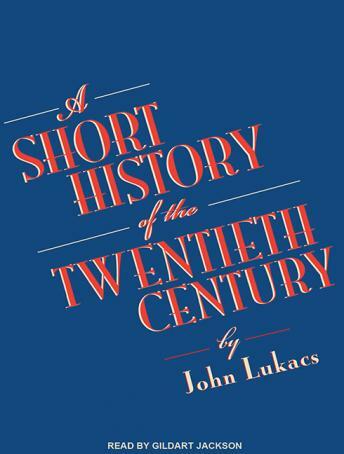 The historian John Lukacs offers a concise history of the twentieth century-its two world wars and cold war, its nations and leaders. The great themes woven through this spirited narrative are inseparable from the author's own intellectual preoccupations: the fading of liberalism, the rise of populism and nationalism, the achievements and dangers of technology, and the continuing democratization of the globe. The historical twentieth century began with the First World War in 1914 and ended seventy-five years later with the collapse of the Soviet Empire in 1989. The short century saw the end of European dominance and the rise of American power and influence throughout the world. The twentieth century was an American century-perhaps the American century. Lukacs explores in detail the phenomenon of national socialism (national socialist parties, he reminds us, have outlived the century), Hitler's sole responsibility for the Second World War, and the crucial roles played by his determined opponents Churchill and Roosevelt. Between 1939 and 1942 Germany came closer to winning than many people suppose. Lukacs casts a hard eye at the consequences of the Second World War-the often misunderstood Soviet-American cold war-and at the shifting social and political developments in the Far and Middle East and elsewhere. In an eloquent closing meditation on the passing of the twentieth century, he reflects on the advance of democracy throughout the world and the limitations of human knowledge.